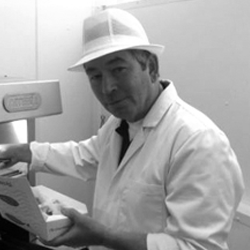 Industry Awards: Drywite Young Fish Frier of the Year 2011, National Fish and Chip Awards - Field To Frier Winner 2016, National Fish and Chip Awards - Best Mobile Fish & Chips Finalist 2019, Fry Top 50 2013-2018, NFFF Quality Award 2011-2015. 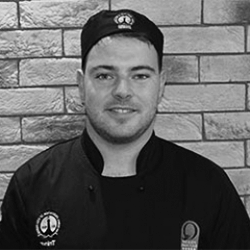 The ability to be able to give back to the industry that has so far served me well, in spire younger people to choose fish and chips as a career and to pass on my knowledge to help improve the standards within fish and chips as a whole. Training is important as without it the industry and businesses would simple not succeed. It empowers workforce, educates younger people, improves businesses and raises the standards. Training is the key tool to making businesses more profitable and efficient. 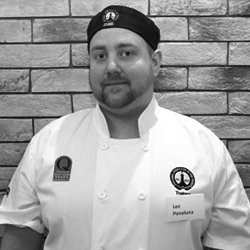 Industry Awards: National Fish and Chip Awards – Best Takeaway Award Finalist 2000, 2001, 2002, 2016, National Fish and Chip Awards – Best Restaurant Finalist 2015. NFFF Quality Award Holder, MSC Certified Holding Shop. Qualifications: Level 3 - Food Hygiene, Level 3 - HACCP, Emergency First Aid at Work. I want to give back to an industry which has been very good to me over the past 35 years. I have a lot of knowledge to pass on to fellow friers to help make sure standards are of the highest quality. Training is important for Quality of the product and the level of service we provide. As new people come into the industry it is vital that training is given to keep this fantastic industry moving forward in a Profitable and efficient manner. Shop Name: Millers Fish and Chips, Haxby, York. Qualifications: Level 2 - Food Safety and Hygiene, Level 2 - Health and Safety in a Food Environment, Level 2 -Food Allergy Awareness, Level 2 - Emergency First Aid. Having been in the Fish & Chip Industry for many years. I have an extensive knowledge and understanding of the Industry and I felt that becoming a Trainer would enable me to pass on many of the skills that I have acquired through my time in the industry. 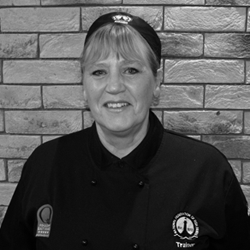 I have a real passion for helping other people achieve their goals within the industry and being a trainer allows me to pass on these attributes and help people who are wanting to work in the Fish & Chip sector. Training is the benchmark required to start a career in the Fish & Chip Industry and it is vital to have the training so that you have the correct standards set to go forward in the Industry and run a successful business. Shop Name: Packet Bridge Fish & Chips. To take my career in the industry to the next level. I always wanted to be a teacher so to do it in something I am passionate about and pass on knowledge to help others raise standards within the industry is very rewarding. The industry we are in is constantly evolving and improving so it's important no matter how much experience or knowledge you think you have, there is always something to learn to improve. All shops should have owners/managers/staff that have had some form of professional training. After being in this industry for so many years I have witnessed and incredible amount of change, training allows you to keep up with these changes. For people coming into the industry there is a lot to learn across all aspects of the business and training provides this knowledge. 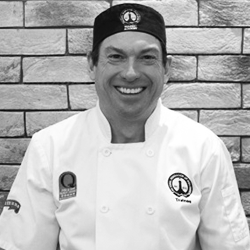 Industry Awards: National Fish and Chip Award Judge and British Takeaway Campaign T Level Board. Qualifications: Level 4 - Food Safety, Level 3 Health & Safety, Level 3 - HACCP, First Aid, Health & Safety Top Ups - Electricity, Asbestos etc. The industry has been good to me, so fell it is right to give back. As someone regularly involved with CPD as part of my work, I understand the value of training and updates, both legislatively, physiologically and motivationally, and believe those that have been doing it ‘for 35 years’ as a badge, could have been doing it wrongly for all this time!! I have always recognised the importance of providing people in any trade the opportunity of developing and improving their skills. Good training leads to a better quality of work and product, enhances job satisfaction which reflects in customer satisfaction. Training encourages people to take more of an interest in what they are doing, It also provides a confidence in what they do. It is important that best practices are shared with those who want to do the best in whatever business they choose. You’re not set free to drive a car until you’ve passed a test, good tuition and instruction teaches you to do things in the right order and to get the best results. It helps set principles of good discipline and understanding and of course the customer ends up with a better product. Well trained teams provide better results, are more efficient and helps to add profits. I love what I do and I love sharing my passion with others. I want to give back to the industry what it gives me- Job Satisfaction. 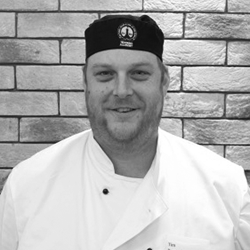 Before I opened the shop, I attended Leeds NFFF 3 day course and had my eyes opened when learning about cooking Fish & Chips. 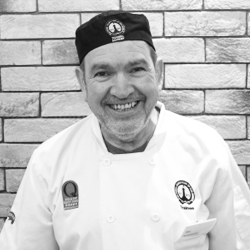 I had trained with a great tutor and then by and with a Michelin starred chef, to understand cooking Quality Fish & Chips was something I felt hadn’t been fully understood during this time. You shouldn’t do anything until you understand at least the basics and then get help in refining those skills. On the Job training ensures people get to use the tools they need to perform at their best. Well trained staff are more efficient and help me run my business successfully, they allow me to have a little time for myself as well. In Fish and Chip Shops trained staff are our future. It’s a very rewarding way of ensuring the standards of our industry remain high. 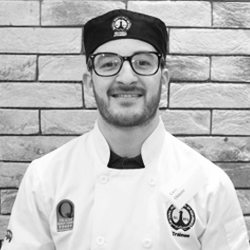 I believe training is important in any industry but vital in the food industry. Training to me, is the difference between being able to do something and being able to do something well with confidence. Training is important to keep up with ever changing methods and techniques as well it gives people an insight in to how big and important the industry is. It also gives an exciting opportunity to network and socialise with different people all over the industry. Qualifications: Level 3 - Food Hygiene, NVQ Level 3 - Food preparation and Cooking, City and guilds 706/2 Patisserie, RNLI Cas Care First Aid trained. 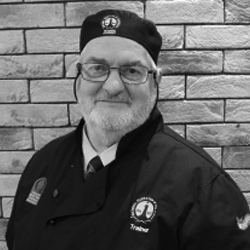 After 21 years in the fish and chip industry I feel I have a tremendous amount of passion, skill and knowledge to give to others in the industry. You can never know enough or stop learning. Even after 21 years I learn something new most days and especially off other like-minded people in the industry. You must always strive to be better than yesterday and that comes from continuous learning and training. To pass on valuable knowledge gained through my many years in the industry and to work with enthusiastic and inspiring people to also further my knowledge of business in a technological world. Training is needed to help anyone starting in the industry to help them avoid making mistakes or bad judgements and to get a grounding of running a business and making it a success. Training will help the trainee to produce a more consistent and quality product and increase their overall knowledge of the industry. The NFFF boasts the Training Academy in Leeds and Training Hub in Northern Ireland. Our fantastic facilities offer a bright and modern environment which further enhances the learning experience for the students. 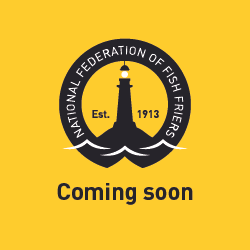 Along with a fully equipped preparation and frying room, the NFFF Training Academy provides the perfect venue for both new starters and existing fish and chip shop personnel to learn new skills and gain further knowledge about the amazing fish and chip industry. The NFFF Training Academy in Leeds is conveniently placed in a central location within three miles of Leeds City Centre, Leeds Railway Station, major connecting roads and Leeds/Bradford International Airport. Check out the NFFF Training Academy Gallery or take a virtual tour below via Google Street View.